Royal weddings, prime dignitaries, today the media is swirling around Prince William’s and Kate’s wedding. A touch of class, simple elegance, the dream of marrying a prince. It’s the typical little girl’s dream, like a good fairy tale story. What is it about this event that creates such interest? The media is taking over with the latest updates surrounding the event. Why is it important? Is it the dream of an idea? 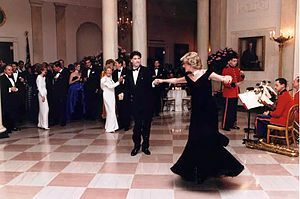 Princess Diana was the people’s princess. She characterized the genuineness of a true matriarch, with sincerity and integrity. Admired by many, she is remembered fondly. To live like royalty as a prince, a princess and wedding bliss. It’s the fairy tale that inspires people. After the weekend is over, when the dream wedding is behind us, we’ll all go back to our lives. The inspiration that carried us through the wedding will be a fading memory. So for this week, if you so desire, grab the Kleenex. Dream a little and live like royalty.